"Everybody has some sense of what good food is. What many of us actually eat may not taste specifically good, may not be particularly good for us, and probably comes from a farm or factory we don't want to even imagine. But that's not because we don't know what we want. It's just that we always seem to end up eating something else." I could say the very same about perfume. How many times we know what a good perfume should smell like, but buy into the marketing schemes, or make a purchase because of the bottle alone? How many times it's the persona selling the perfume (a model, celebrity, or a brand-owner we find inspiring) that convinces us it's what we should wear? The power of suggestion is even more pronounced in the fragrance industry. Tell someone there is jasmine in their perfume, and they'll find something - anything - to remind them of what the gestalt of jasmine is in their minds. While jasmine fits in beautifully into pretty much any composition, illuminating it with its aura and creative more space where before dense matter lay flat and barely breathing - adding anything TO jasmine in order to make it beautiful is almost as ridiculous and frustrating as putting makeup on a beautiful 4 year old girl. The essence of Jasmine is a perfect thing. To add anything to it, or to take anything away, requires both vision and manipulative skill. How can you make it less indolic but not silence the animalic purr that is so prevalent in a good jasmine? How can you make it fruity and juicy, without being too sweet, cloying and cheap-smelling? How can you take something that is essentially perfect the way it is, and create a new fragrance from it, a jasmine statement unique to you as a composer? I've spend the best part of July testing jasmine perfumes from all walks of life: the mainstream department store types, artisan and/or natural, niche, and even the synthetic cheapie varieties. It prove to be a far greater challenge to find a satisfying, convincing jasmine that truly brings forth the beauty of this raw material while respecting it. The ones that I've shortlisted boil down to a very short list, actually, and appear in alphabetical order below. It would be interesting to note, that the most intriguing of them are those which do not possess the ambition of being overtly jasmine, but at the same time do not shy away from using impressive dosage of this note. A La Nuit (Serge Lutens) - Straight up jasmine, and quite believable at that. Diorissimo (Dior) - Breathtaking Lily of the Valley masterpiece by Edmond Roudnitska. Look for the vintage or better yet - the extract, where the jasmine absolute is quite evident, as are the green notes and boronia. Donna Karan Essence: Jasmine (Donna Karan) - realistic jasmine, even if simple. 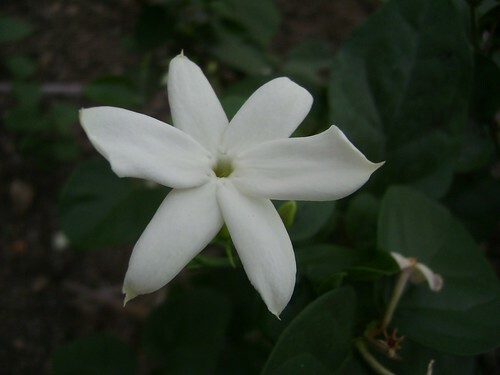 For similar effect, seek out jasmine absolute diluted at 5% or 10% or so at Intelligent Nutrients (Aveda used to have a "Jasmine Absolute Oil" but it seems to have disappeared) or at various aromatherapy suppliers. Marvis is an esoteric Italian toothpaste with flavors such as jasmine mint and is very expensive with a devoted following. Anon, I am now obsessed with finding that toothpaste! Alas, BeautyMark in Yaletown carries them, but not the jasmine-mint flavour. I ADORE jasmine (in case it's not obvious, after a month of posting about it). I wonder what the woody facet you are noticing in J. officianale is... Maybe what I experience as "earthy". Jasmine sambac is not at all popular in the West, only in India. Which I find hard to understand. It's so lovely, tea-like and fruity-green-floral. Very much like gardenia, it's true. You might enjoy my perfume Yasmin, which combines the beauty of both! Wow, thank you for recommending! The notes in your perfume Yasmin sound absolutely awesome! I want to soon order a sample; but since I can't find a deliveries section on your site, do you mind telling me if you ship to UK? Shipping is worldwide. For more info about this question (and others) visit the Help/FAQ page!